As we begin to prepare our hearts and minds for the Easter season, let us remember Jesus, our Lord, Our Savior. The King of kings and Lord of lords. Let us remember His character. Let us remember His teaching, His lessons, and the lives He changed. Let us remember that He is Holy and that He is worthy of our praise. 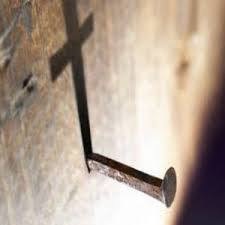 Let us remember the nails, the blood, the cross, the death, the grave, the resurrection. Let us remember the love, the hope, the grace, the forgiveness, the blessing. Let us remember His promises. Let us remember that He is the truth, the life, the way. Let us remember, and always be reminded of who He is.... what He has done... what He has yet to do.